This piece originally appeared on DailyDot.com. Nothing can ruin your morning glass of orange juice quicker than the glug glug of the carton and the juice that goes flying because of it. But thanks to YouTube’s favorite crazy Russian hacker, your days of wiping up spilt OJ are over. Yes, the same guy who showed you how to take your shirt off like a boss by using only one hand is here to give you a lesson on perfecting your pour. 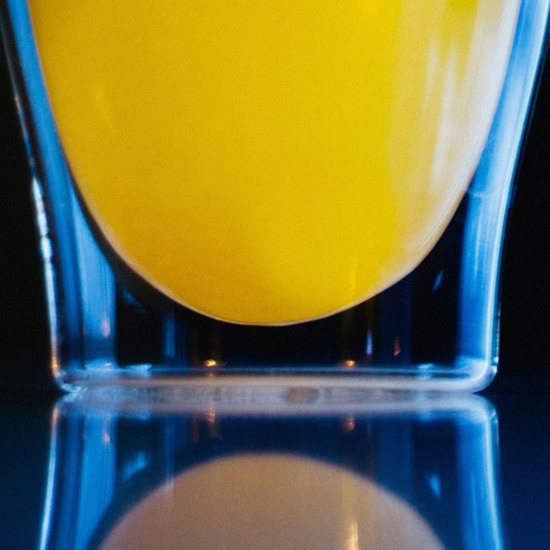 While the solution to a smooth flow of OJ is pretty simple, the reason behind the issue is pretty scientific. When your fresh-squeezed goodness is sealed inside the carton, the contents are placed under atmospheric pressure. Yet when you pour juice the wrong way, you decrease the volume of the liquid in the carton and increase the air bubbles, thereby lowering its pressure. When the pressure of contents inside the carton are lower than atmospheric, the air pressure rushes in past the juice to equalize everything and your liquid gold goes flying. So next time you start your morning with a pour smoother than butter, thank science and this crazy Russian guy.